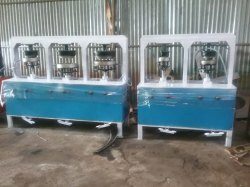 It is our immense pleasure to inform you that we are the Leading Manufacturers and suppliers of comprehensive array of Automatic Pakku Mattai Plate Making Machine in Coimbatore for last 10 years. We ARG TRADERS always providing right guidelines to our customers for continuous business growth. The main goal of ARG TRADERS is more approachable as possible and to respond to customers as quickly as possible. We commit ourselves to achieve maximum customer satisfaction by the way of offering Product and Service to customer meeting their specified requirement ensuring High standards in Product Design, Sourcing, Manufacturing and Service all at Competitive Prices. We have successfully supplied our Machineries to Tamil Nadu, Karnataka, Hyderabad, Mumbai, Mizoram, Assam, Australia etc. It is our immense pleasure to inform you that we are the Leading Manufacturers and suppliers of comprehensive array of Pakku Mattai Plate Making Machine in Coimbatore for last 10 years. We ARG TRADERS always providing right guidelines to our customers for continuous business growth. The main goal of ARG TRADERS is more approachable as possible and to respond to customers as quickly as possible. We commit ourselves to achieve maximum customer satisfaction by the way of offering Product and Service to customer meeting their specified requirement ensuring High standards in Product Design, Sourcing, Manufacturing and Service all at Competitive Prices. 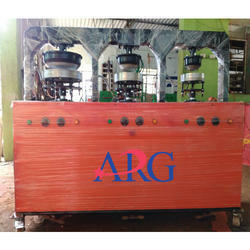 We have successfully supplied our Machineries to Tamil Nadu, Karnataka, Hyderabad, Mumbai, Mizoram, Assam, Australia etc.